There's hardly anyone today who does not agree that working out is important for improved health and well-being. The problem for many has been the ability to sustain a workout program. They start it and then after a few sessions, they give up. There are several factors responsible for this. We will try to look at some of these factors and also recommend how you can go about creating workout programs that will be simple enough for you to stick with and give you good results. Your reason for wanting to work out is very important. This is what will motivate you and keep you motivated through the journey. Be sure to clearly state this goal. Do you want to lose weight, build muscle tone, or you simply maintain proper fitness levels? Once you identify your goal, you can then begin to create programs targeted towards achieving those exact goals. This is where a lot of folks who get it wrong. The desire for quick results has led to some injuring themselves by chewing off more than they can swallow or getting into programs they can't continue with because they get discouraged. For your workout program to be effective, you MUST start small and build from there. As your body adjusts, you can then increase the difficulty level of the program. One of the main reasons why you need to keep your workout programs simple is so that you can be consistent with it. Consistency is critical in the achievement of any goal, more so a fitness goal. It is not something you should visit whenever you feel like it. You should stick to your program schedule until it becomes a habit. When you want to begin a workout program, understand that it is not a sprint but a marathon. You therefore have to commit for the long haul. Do not treat a workout program like a quick fix. Do not expect magical results from it either. 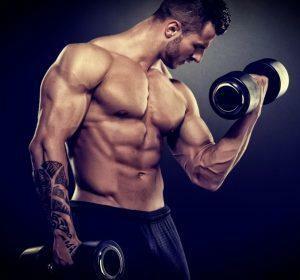 When you commit for the long haul, your workout program will become a part of your lifestyle and you will notice very impressive results over time. Regardless of what your goals are, this is the surest way of ensuring you reach them. Variety they say is the spice of life. This is also applicable here. If your workout session becomes boring, you are likely not to continue with it. This is why you find some people build their workout routines around things they love. For example dancing, or some form of sport. Once your program is interesting to you, you will be better motivated to stay committed to it. Once you are committed to it, you are most certainly sure of reaping the full rewards of the program. How realistic are your goals or the milestones you set? If a person who wants to lose weight steps on the scale two days after commencing the weight loss program expecting to see a significant loss in weight, that person will only be setting him or herself up for disappointment. The same applies to any other workout goal. Ensure your goals are realistic and that the milestones you set are so too. Do not keep peeping at the score card every day. This will only get you down. Remember that it is little steps that will eventually lead to a massive result so focus on those little steps and celebrate each one you take. There are times when you need help to be able to continue. Never be afraid to seek that help. One of the greatest forms of help anyone who has started (or wants to start) a workout program requires is support. You are more likely to stick to your program if you are working with a group of persons than if you are going at it alone. The company can provide the support you need to persist. At other times, you may need medical help. Do not decide to ride it out. Some people have experienced serious discomforts during their workout sessions that led to more serious complications simply because they chose to ignore it. Get help whenever you require it. You can create a workout program that will be simple but yet effective if you know what to do. We have listed some steps that should guide you. You can however read this article for some actual examples of simple exercise routines: https://medium.com/personal-growth/the-minimalists-strength-workout-ee789f909efd. Anything is achievable if you go about it the right way.